Are you still racking your brain for what to buy your dad who has everything he needs, or for your best friend who always has the newest item? 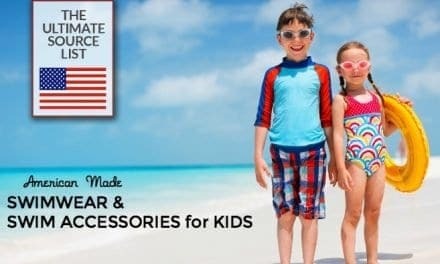 Whether small or large, I like to think my decisions impact others, like buying American made. 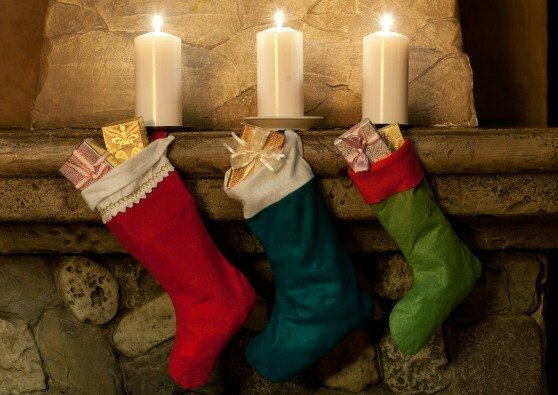 Here's my list of American made gifts for wine enthusiasts. You'll find what you need to make a gift basket, or buy a single item for your wine loving friends. If you're a wino like me, you'll probably want everything on this list for yourself too! This SPARQ State Themed Slate Cheeseboard will be a conversation piece for sure. Made with 100% slate, these cheese boards are available in all 50 states and are perfect for serving not just cheese, but hors d'oeuvres and other small appetizers as well. 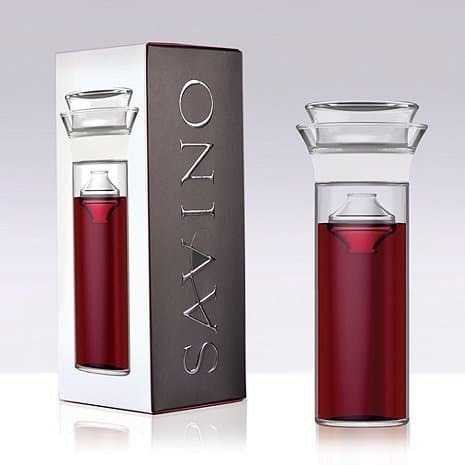 The Savino Wine Saver Carafe is great way to preserve unused wine from an open bottle. Wine enthusiasts no longer need to try and re-cork an open, un-emptied bottle of wine. The Savino carafe is a wine preservation system uniquely designed to hold flavor and freshness for days. 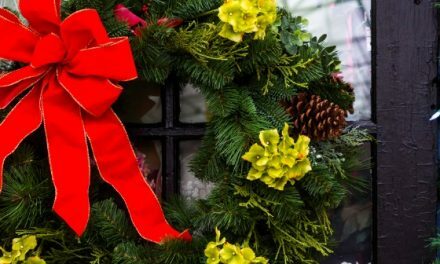 Fun, and sure to put a smile on any face, Ben's Garden's gifts are a great way to spread holiday cheer. 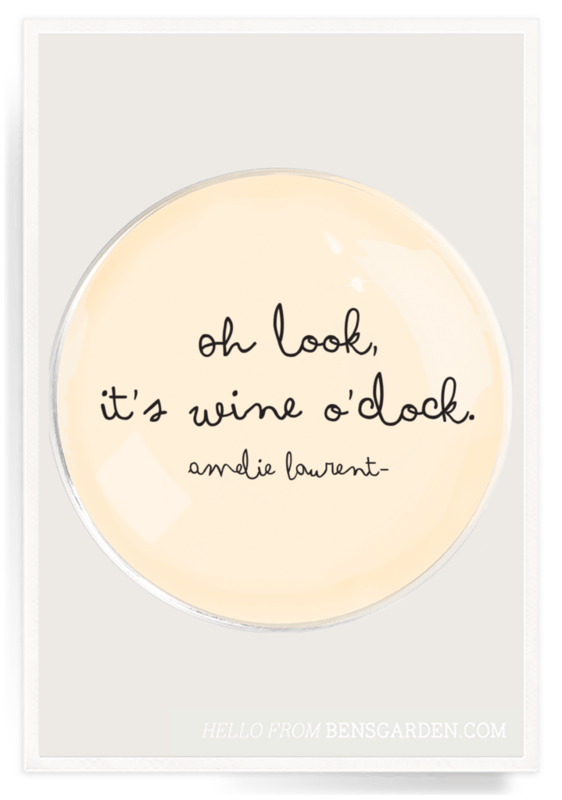 I love the Oh Look, It's Wine O'Clock Round Decoupage Glass Tray. The products are entirely crafted by hand in New York. 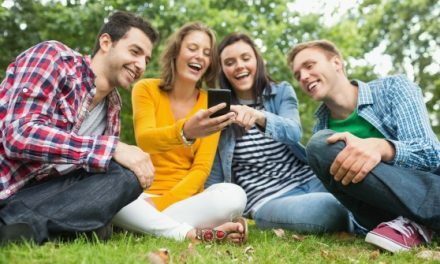 Buyer beware, you will want absolutely everything on Ben's Garden site! 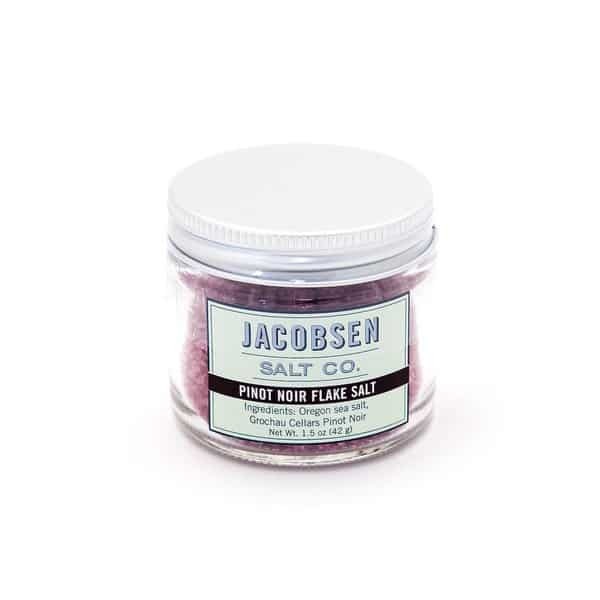 Jacobsen Pinot Noir Flake Salt is made from Oregon harvested sea salt and Oregon made Grochau Cellars Pinot Noir. It's a perfect compliment to steak, white flaky fishes, or roasted vegetables like mushrooms and asparagus. You might enjoy using it with a glass of Pinot Noir. For the wine enthusiast who loves to entertain, the Rada Cutlery S39 Party Knife Gift Set is the gift to give. This set includes a cheese knife and a party spreader and includes a Lifetime Warranty. Original Bobbysue's nuts are the perfect blend of sweet and salty. They use premium nuts including, almonds, pecans, and cashews. They're preservative free, organic and GMO-free – I love that! I suggest having the 32 oz. jar on hand for any upcoming parties, hostess gifts, or just as a holiday treat for yourself. 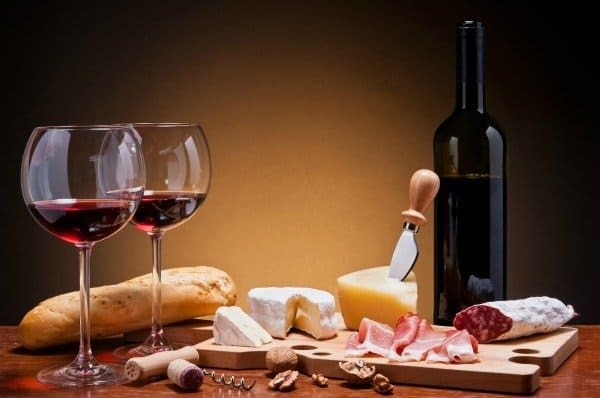 Cheese and wine have never been easier to pair together than now. Kitchen Table Bakers ParmCrisps are crunchy cheese “crackers” made out of one ingredient – cheese. Crispy, crunchy, and flavorful, I love having these on hand to pair with wine for small get togethers, or hostess gifts. They come in nine flavor options, and are found nationwide at major grocery stores. I love salami and I really love Creminelli salumi. The Gourmet Artisan Salami Mix includes my three personal favorites, 1 piece of Creminelli Tartufo Salami with black truffles, earthy and bright, 1 piece of Barolo Salami with Barolo red wine, bold and bitey, and 1 piece of Wild Boar Salami, gamier than the other, and a bit softer than most salumi. Now that you're done indulging, wipe that wine off your smile with Wine Wipes. These wipes come in a small compact and are great for red wine stains on your teeth, or to use between wine tasting. Wine Wipes’ orange blossom flavor ensures each wipe won’t ruin your next sip. So cool that John & Kira’s store is in Philadelphia, Pennsylvania. I’ll have to drive over! 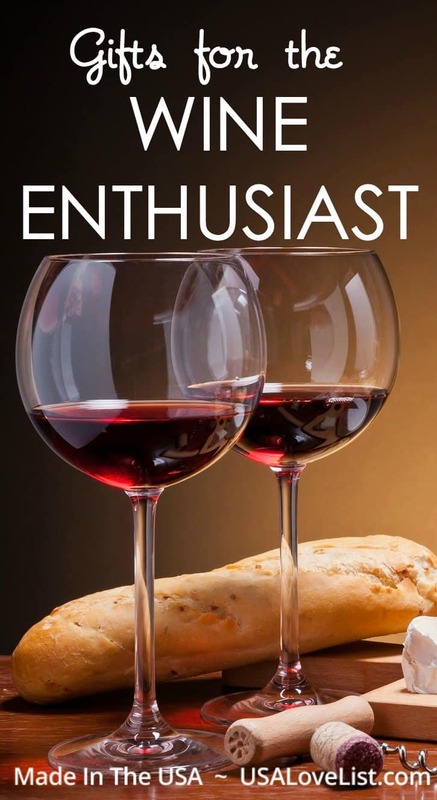 These are all great gifts for the wine enthusiast. My favorite is the John & Kira’s chocolate covered figs, I would love to try them myself. Thank you for sharing this post. These are wonderful ideas for gifts for any occasion. I know I would enjoy the John & Kira’s chocolate covered figs. I am making a serving tray for a Christmas gift and I am going to wrap the John & Kira’s chocolate covered figs on top of it. They look so wonderful! Yummy. This list would be a great reference for my cousin. She loves trying new wines, so wine-related gifts are good.